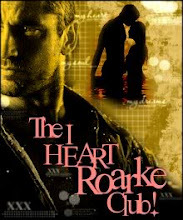 Welcome to my blog where I will be reviewing Mystery Thrillers and Romantic Suspense books! I will also occasionally review cozies too! Welcome to my Blog where I review mystery thrillers, romantic suspense books and the occasionally cozy. If you have any questions about any series or authors please contact me and I will gladly help you, thanks! If you would like me to review your books, guest post or would like me to host tours or contests please e-mail me using this form http://www.emailmeform.com/fid.php?formid=424829, thanks. Please read my review policy before contacting me, thanks! The Magic of Ed McBain’s 87th Precinct - Over the decades, the procedural series captured life in the New York like no other and made the squad room the star. EVERY DEEP DESIRE One-Day only $1.99 Sale! Why am I so busy?